Point2 Homes gives you far more than a simple list of houses for sale. Get instant access to a lot of relevant information about Mount Pearl, NL real estate, including property descriptions, virtual tours, maps and photos. The search results pages also have a wealth of information on Mount Pearl, NL, if you scroll all the way down. 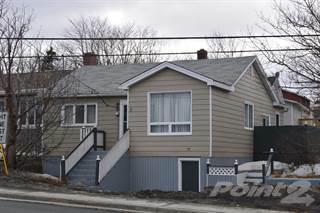 There are 138 houses for sale in Mount Pearl, NL. 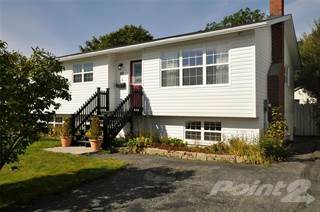 Searching homes for sale in Mount Pearl, NL has never been more convenient. With Point2 Homes, you can easily browse through Mount Pearl, NL single family homes for sale, townhomes, condos and commercial properties, and quickly get a general perspective of the real estate prices. Also, you’ll never miss a bargain if you filter listings based on house price drops in the past six months. Use the map view to find Mount Pearl, NL homes and apartments for sale, based on amenities or city features that you may want close by. You can close in on a specific neighbourhood or area by simply drawing around them with the polygon or radius tools. Stay informed about the latest entries on the real estate market by saving your searches. This way, you get new listings in your inbox, daily or every week, based on your preferences. If you’d like to get in touch with a professional, agents are displayed next to their listings, and they’re easy to contact through the online forms. If you want more options, you can click the Tools tab and Find an Agent, and you’ll get a list of helpful and knowledgeable real estate agents in Mount Pearl, NL. Visit the Point2 Homes blog and you can find up to date expert advice on many markets throughout Canada, regular market reports, neighbourhood scoops in cities throughout the provinces, real estate deals and useful recommendations. Situated in the province of Newfoundland and Labrador, Mount Pearl sits southwest of St. John’s and has the third-largest population in the province. Covering an area of 15.76 sq.km, and with a population of 24,280, Mount Pearl is a lovely town with a close-knit community feel and easy links to the province’s capital. The town was formed in the early 1800s, and has experienced most of its development in the last 100 years. In the 1930s and 40s, Mount Pearl was a popular area among affluent members of society due to its stunning scenery, fresh air, and horseracing. Horseracing was one of the primary reasons for development in the town, and visitors in the summer months gradually led to an increasing population and residential and industrial development. Mount Pearl is located on the Avalon Peninsula by the Atlantic Ocean. The town enjoys a pleasant temperature in summer averaging around 22°C at its peak, and cold winters dropping to -6°C on average in winter. The area is predominately white (98%) and is English-speaking. The city has a growing population and is known for its high employment rates, great real estate options, and impressive educational facilities. Mount Pearl hosts a number of annual events that draw in visitors from across the province. Popular annual events include Christmas at Glacier, and the Frosty Festival, which has been running for over three decades and involves a number of activities such as wine tasting, costume skating, murder mystery, dinner theatre, and a marketplace. Mount Pearl boasts a number of exciting recreational activities and it’s particularly well-known for its ice skating facilities. There are ice skating rinks, soccer fields, and a national baseball field in the area, as well as playgrounds and city trails. The Village Shopping plaza and Avalon Mall are the closest shopping areas to Mount Pearl, and the downtown shopping district also has a number of retail stores. Glendale, Evergreen Village, and West End are all popular neighbourhoods with great real estate options. Single- and multi-family homes are prominent in these districts, and there are residential homes and farms in the surrounding area. 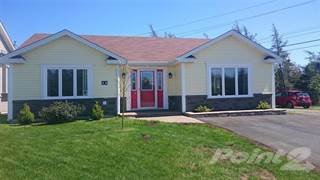 Mount Pearl offers a range of real estate options at very affordable prices in comparison with other areas of Canada. Residents enjoy a close-knit community feel and a very pleasant place to live. The most common listings are 3-bedroom homes. The housing market is somewhat in favour of buyers and the number of homes for sale has increased slightly in the last few months. First time buyers in particular will benefit from this, with more choice out there on the market. There are 7 elementary schools in the Mount Pearl area, as well as 3 Catholic elementary schools. Memorial University and Cabot College are also located within a short distance of the town.